Some of our state’s best food and drink makers brought home seven medals at this year’s Good Food Awards. On January 15, seven North Carolina food and drink makers were awarded medals at the Good Food Awards in San Francisco. The ceremony recognizes the best makers throughout the United States and across 13 different categories, including charcuterie, coffee, chocolate, cheese, beer, and spirits. Want to read more about this year’s winners? Fullsteam Brewery in Durham has been drawing crowds with beer that uses locally-sourced ingredients since 2009. And since then, its founder Sean Lilly Wilson has been on a mission to show that beer is bigger than its alcohol content. That it brings people together and shouldn’t be something we fear. That beer belongs to all of us, and we should embrace it. In the beginning, Goat Lady Dairy had just the necessary space to make cheese. Now they’re expanding all while teaching people about cheesemaking and sustainable farming. 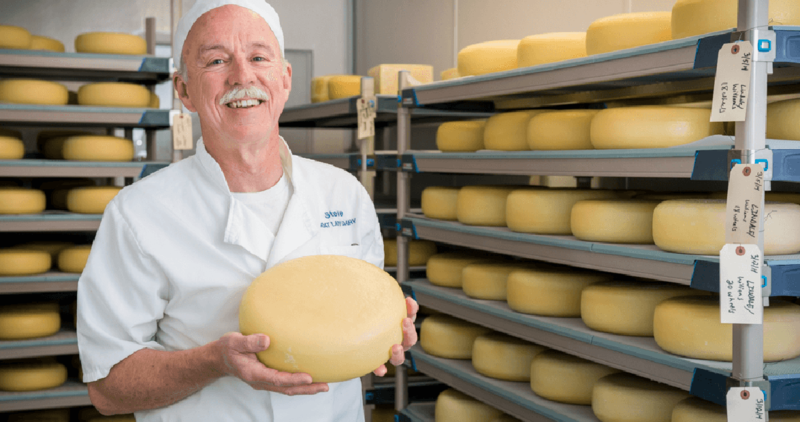 Read more about them and North Carolina’s growing cheesemaking scene. Pickles and preserves aren’t the only specialty of Farmer’s Daughter founder April McGreggor. She’s also the author of the eponymous Sweet Potatoes, a Savor the South cookbook. We spoke with her about how this tuber became the official North Carolina state vegetable.